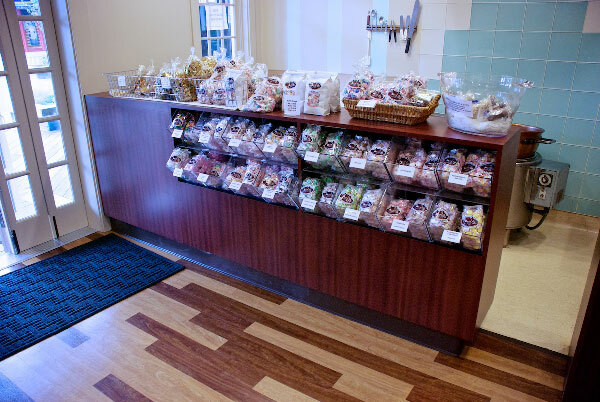 © 2013 Fudge House is a store at Pier 39, This was a store remodel with the design by Total Retail Group. 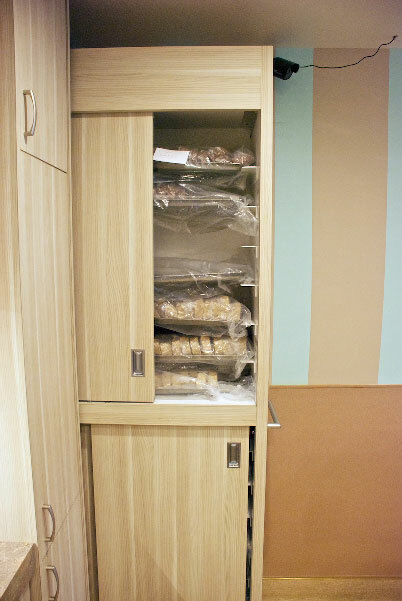 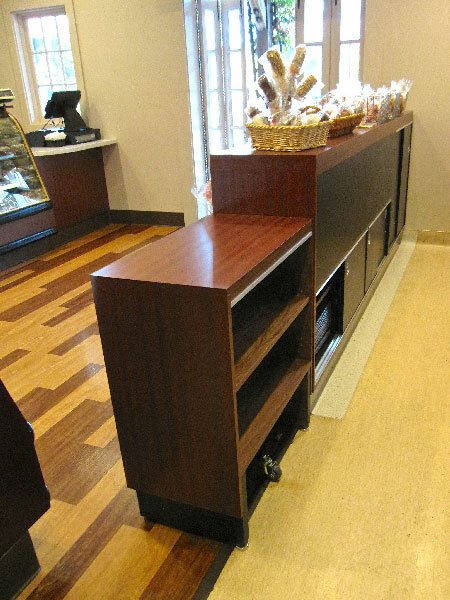 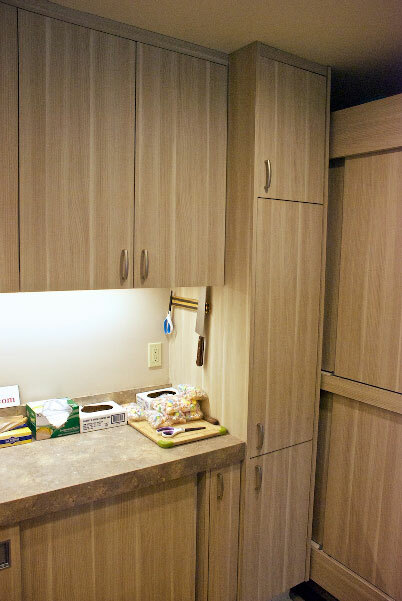 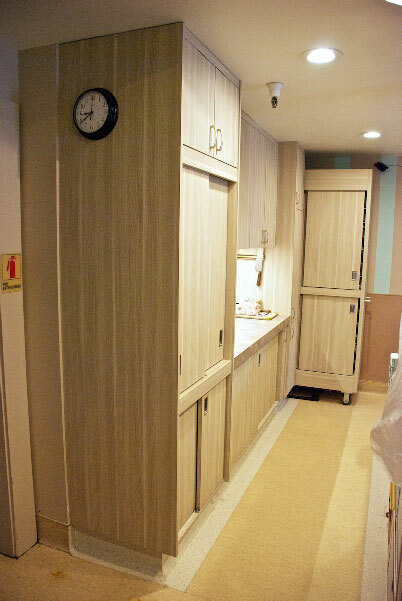 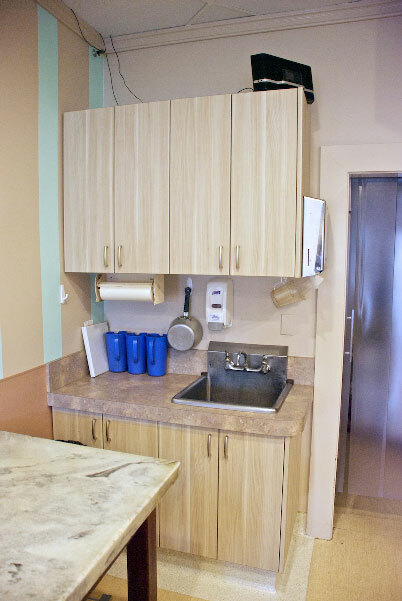 Many of the cabinets have sliding doors with interior racks for candy trays. 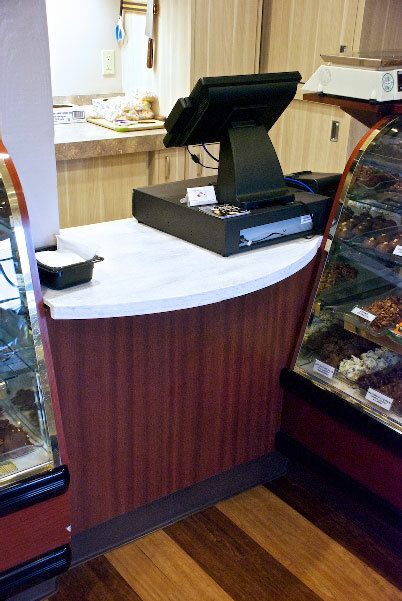 There is a large cabinet that pulls out for additional fudge storage.